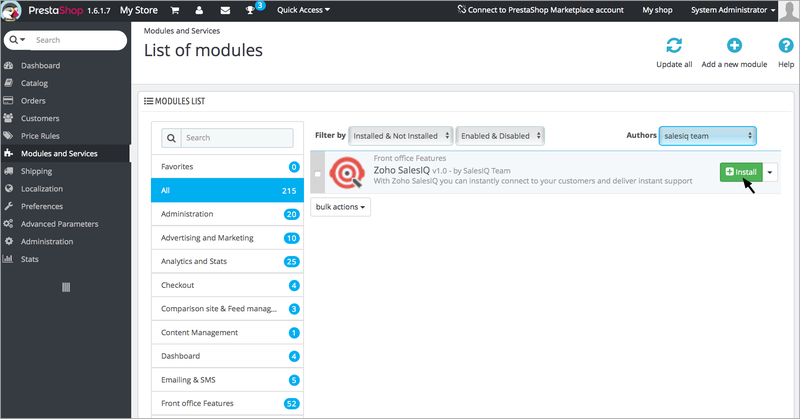 Integrate SalesIQ with your prestashop and enable visitor tracking for higher sales conversions. 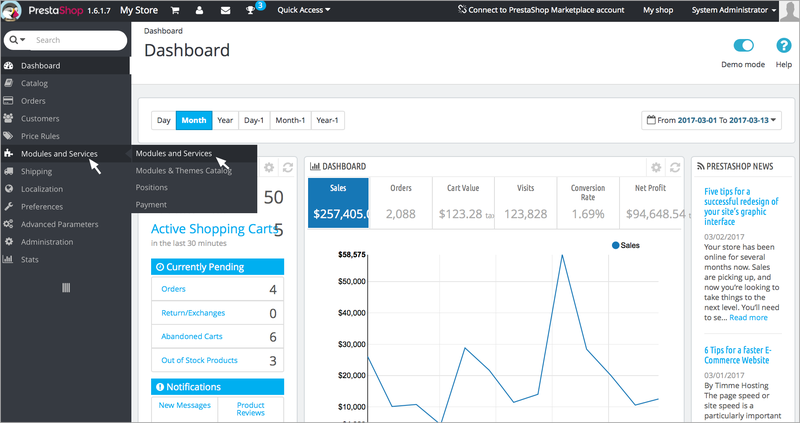 Solve customer issues through SalesIQ and enhance customer loyalty. 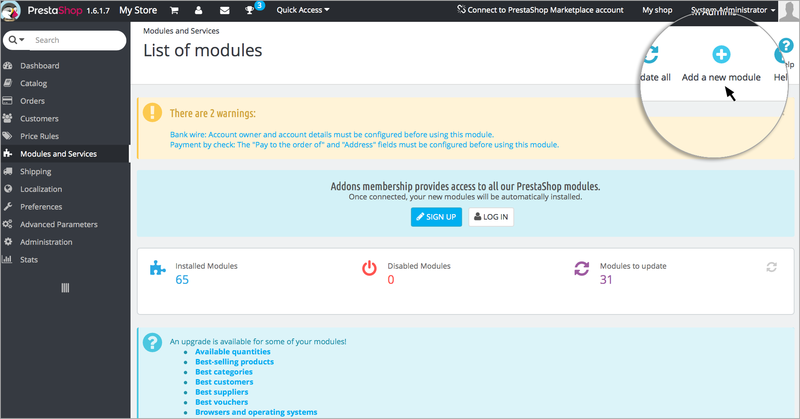 Log into your Prestashop with your admin account. Select “Add a new module”. 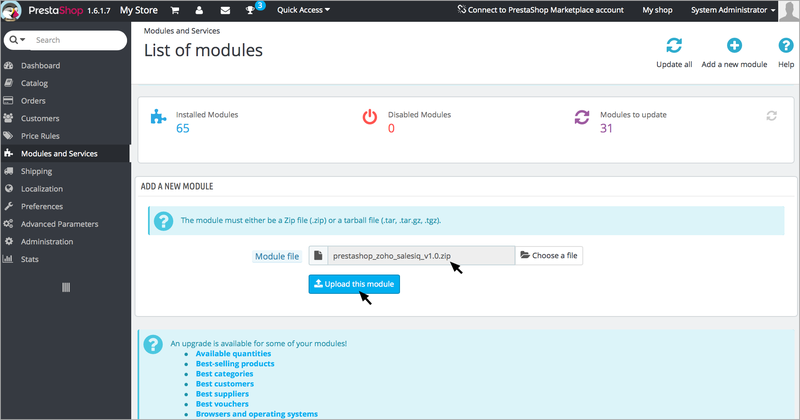 Chat window – This configuration allows you to handle the visibility of chat bubble in your Prestashop store. Include in – Select the pages, which you would like to display the chat window. 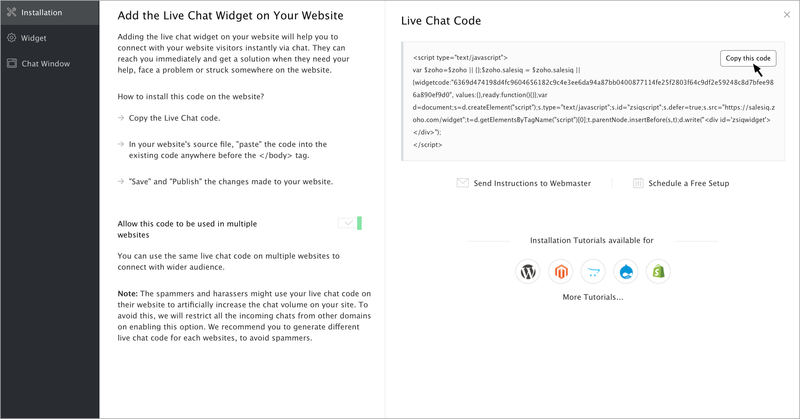 If All Pages is selected, the chat window is displayed throughout the site. 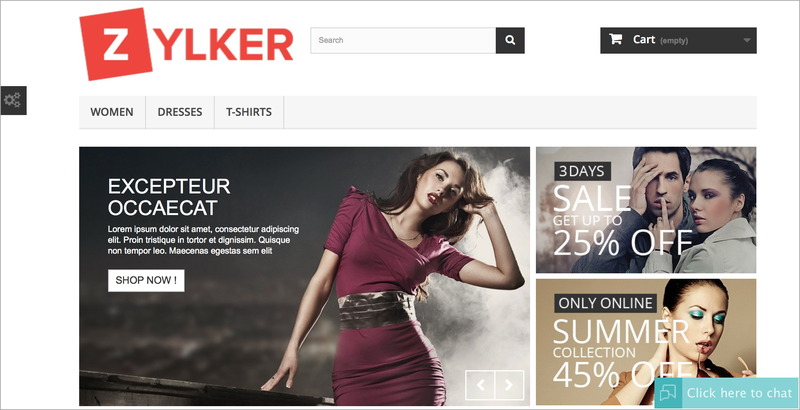 Quick Chat Button - If enabled, a “Click here to chat” button is added in the product pages. Select Live Chat. In the Installation section, click on Copy this code to copy the code snippet.